ARE YOU TIRED OF BEING SORE AND FATIGUED? Athletes and above average fitness enthusiasts who work out often can become run down and exhausted as their body’s levels of zinc and magnesium are depleted. Low levels of zinc can in turn lower the production of testosterone, all leading to the same end result: A Plateau. 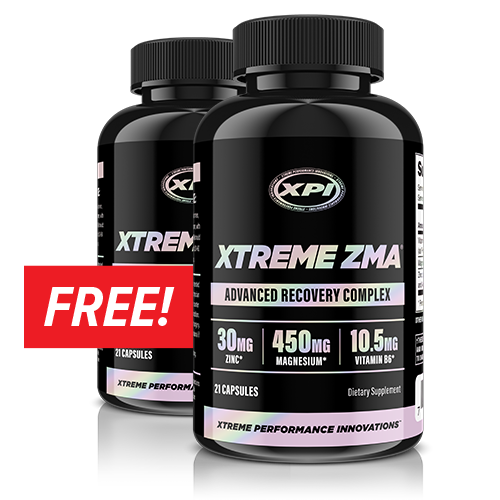 By combining scientifically studied amounts of Zinc, Magnesium, and vitamin B6 1, XPI has created Xtreme ZMA, a supplement that promotes exercise recovery and supports free testosterone production. 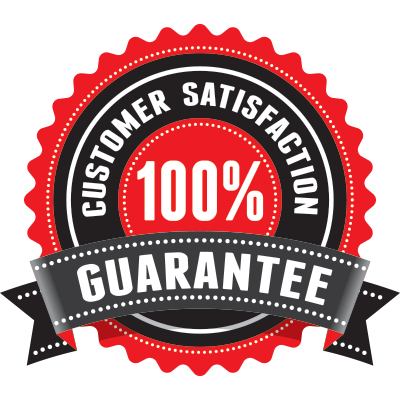 It’s perfect for anyone wanting to enhance performance or build muscle. In a double-blind randomized study, 12 NCAA D II football players were given ZMA nightly during their spring training program and a separate group was given a placebo. 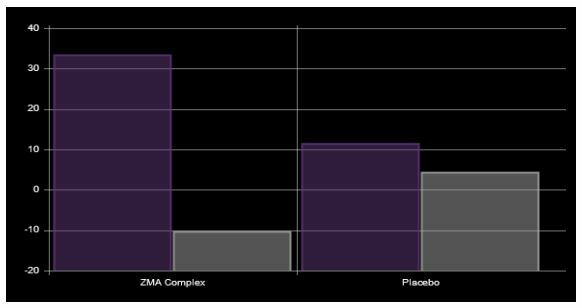 After eight weeks, the Athletes taking ZMA had a 30% increase in testosterone as well as 2.5x greater muscle strength than the placebo group. 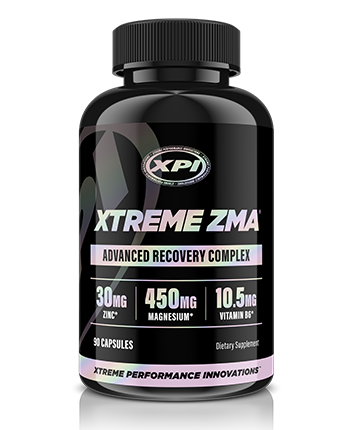 In addition to Xtreme ZMA’s testosterone boosting benefits, it acts as a supreme recovery agent. Depletion of zinc and magnesium from exercise can also negatively impact the body’s immune system, further hindering the essential recovery process. Because Xtreme ZMA is such a potent recovery supplement, we recommend taking it at night as it will facilitate more restful sleep during that all important rest time. 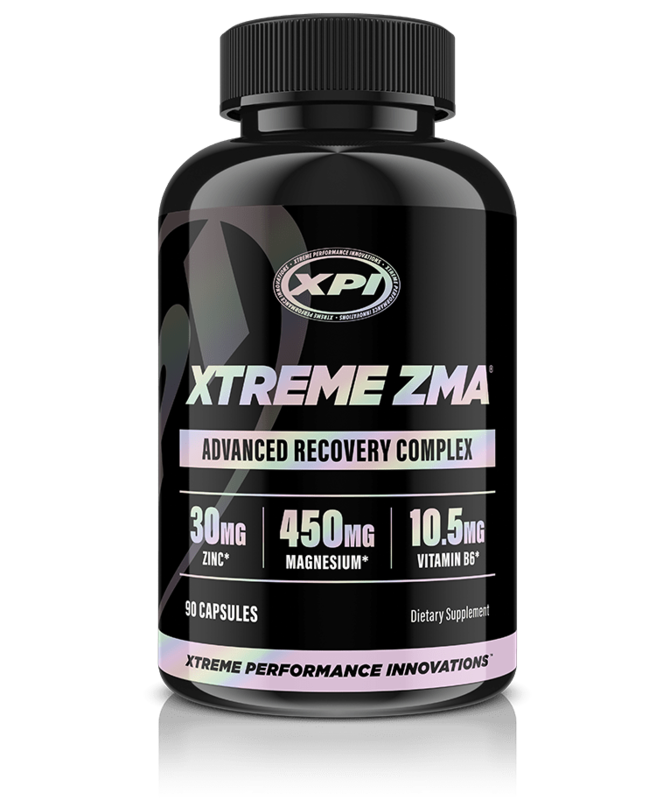 So whether you’re looking to increase your natural levels of testosterone, or for something to reduce your recovery time and aid in better sleep, Xtreme ZMA was formulated to exceed your demands. Zinc is a mineral your body needs to regulate growth and maintain body functions such as immune response and testosterone levels. Magnesium is crucial for muscle growth and reparation. It aids in the transport of oxygen to muscle tissue, which promotes strength, endurance, and relaxation. Even minor magnesium deficiencies can leave you with poor sleep and insulin insensitivity. Vitamin B6 is a super-nutrient involved in more than a hundred chemical reactions in your body each minute. Vitamin B6 is required for our bodies to synthesize and break down amino acids that are crucial to the muscle-building process. 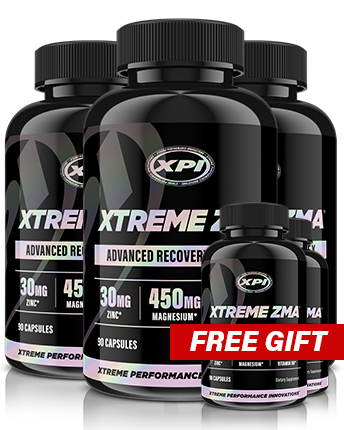 BUY XTREME ZMA DIRECT & SAVE!